The 6-day long 8th Annual Function of Chitkara International School, “Facade- The Structural Extravaganza” was marked with much of entertainment and learning experience. Every day a period of time devoted to ‘structural footing’ and ‘casting the building block’ picked the pace for every day’s list of performances. Graced with the presence of top dignitaries, CIS’s Annual Function showcased heaps of architectural metamorphosis throughout the world. The function unfolded with the school choir and a series of dance performance. Play on “Renaissance Architecture'” by students was the highlight of the function. The inclination of the event was towards acquainting the audience and performers with great structural achievements through the medium of the stage and entertaining them at the same time. The performances by young Chitkarians indeed made the whole event a cherished experience for guests, school staff as well as parents. Throughout the event, the well-researched PowerPoint Presentation running at the side screens filled the audience with bits of information relevant to the acts of that particular period. 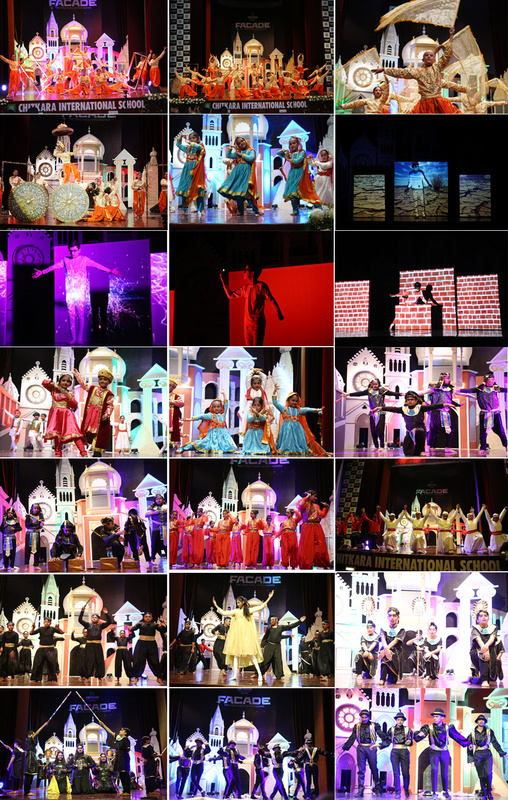 The spectacle of each day was stuffed with the performances of the students exhibiting architectural figures like Pyramids of Giza, Parthenon, Colosseum and Westminster Church, St. Peter’s Basilica, Taj Mahal, Sydney Opera House etc. Students of CIS stunned everyone through a dazzling dance performance depicting an amalgamation of celebrated structures of India comprising Konark temple, Ajanta and Ellora Caves and Sanchi Stupa. Apart from this the fillers on a beautiful rendition of the inferno, “Yampuri” didn’t fail to evoke snickers from the spectators. Furthermore, the Annual Report was read out by Ishiqa Sharma, Joint secretary of the school. In her report, Ishiqa highlighted the achievements of the school in all spheres of academics and curricular activities followed by the outlook on the International exposure provided to the students. She also listed the awards that the school had received for its infrastructure and other academic and curricular activities. The function concluded with a vote of thanks and smiles on everyone’s faces.